With Florida Senator Marco Rubio set to announce today that he is running for U.S. President, it is worth looking at how Republicans in Florida feel about their former Governor Jeb Bush and Senator Rubio getting into the same race. While many would like to see Rubio run for re-election in the senate, if both end up in the presidential race it will mean Floridians must decide between them. Bush and Rubio live less than three miles apart in South Florida and are personally and politically close. Rubio was a state lawmaker from West Miami when Bush was governor. Rubio ascended to speaker of the Florida House in 2006, just as Bush was leaving the governor’s mansion and returning to private life in Coral Gables. Their anticipated competition on the campaign trail reportedly hasn’t soured their friendship, even as Republican activists and donors in the state begin the awkward process of choosing sides. Much of the money and establishment support has gravitated toward Bush. Some fans of both have said Rubio should run for re-election to the Senate next year and leave the White House campaign to Bush. “I think Marco is a truly outstanding person. I love him. A fine man. 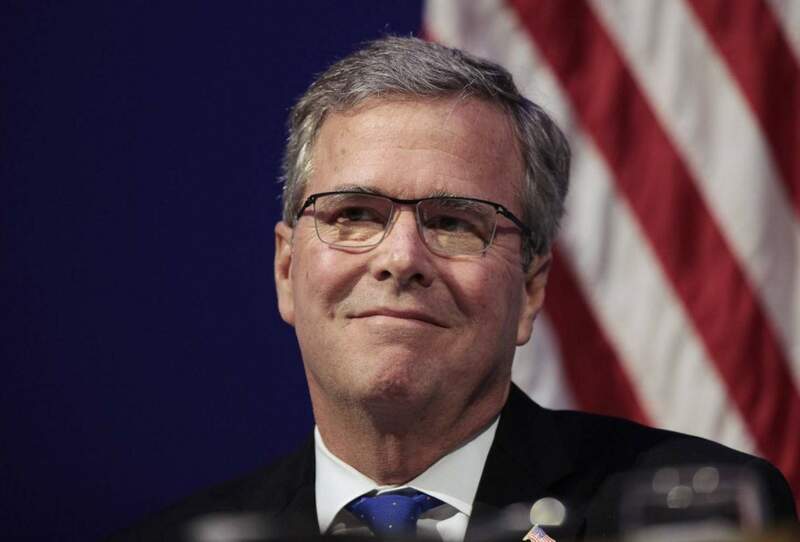 (But) I love Jeb Bush more,” said Al Hoffman Jr., a Florida real estate developer and former Republican National Committee finance chairman who co-chaired George W. Bush’s presidential campaigns. Hoffman embodies the priorities of Florida’s Old Guard, whose members believe Bush is more seasoned than Rubio and better qualified to win the presidency. I like Rubio and he’s in my top three but my number one candidate is Jeb Bush.